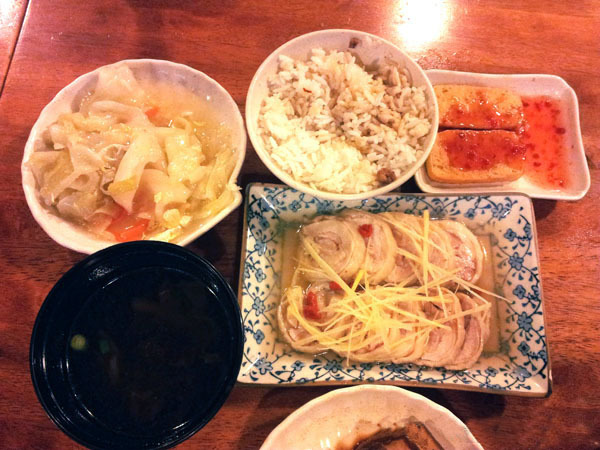 After trying Formosa, I'm hooked to Taiwan food! Glad there's a Fun Taipei Teacafe in SS2 (block perpendicular to McDs, beside Pelita). Their rice sets seemed pretty worth the portion so we both ordered one each. They're between RM10-20. 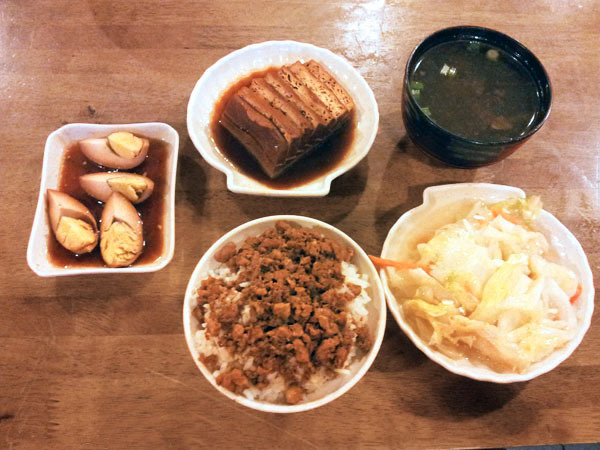 Mine is minced meat rice with braised egg, braised tofu, soup and vegetables. You may upgrade your plain rice to minced meat rice for an additional RM 1.50. The braised egg and tofu was very flavourful and I loved them. The minced meat rice was even better as the sauce they used to cook the meat was extremely delicious and the portion was good. Vegetables were well cooked until soft and I enjoyed them. Soup was just average. This is another set with some kinda cold herbal chicken with ginger. Chicken was soft, juicy and had a strong taste. We also got a drink but I would highly recommend you to stay away from their drinks as they taste like perfume (based on this and a previous visit). Perhaps the fruit juices would be better. 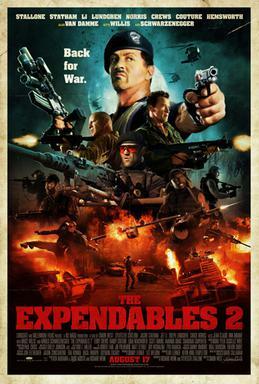 Then we rushed off to watch Expendables 2 at Paradigm Mall. Overall a nice movie, pretty hilarious and full of action (and handsome guys! omg Jason Statham & Liam Hemsworth). Our movie was at 11.10 pm so as you can guess, we ended late at night and had a hard time finding our way to the carpark. Earlier, we were advised to park in B1 as it's more convenient. However, the ramp to go up and down were blocked with cones. We finally managed to find Tesco and the exit to the carpark but it was locked! I had to unlock one of the doors to go out. I couldn't lock it back from the outside so erm.. Sorry if a robber got in =x Then in the parking lot, it was so dark and quiet without a single guard in sight. Floor was wet and slippery too. Note to self : no more late movies at Paradigm. Ending with a photo of myself lol Trying out Shiseido eyeliner that night. Was wearing a nice fuchsia dress but you know me.. Forgot to take a photo. Still wearing that Candore necklace I got from Reebonz! awesome food pics! i'm taiwanese so these photos make me miss taiwan >< . i love these lunchbox style traditional food they serve there. so yummy, right? haha I'm sure they taste even better in Taiwan! you should definitely come to hong kong too!! The shopping, food,etc here is amazing! !